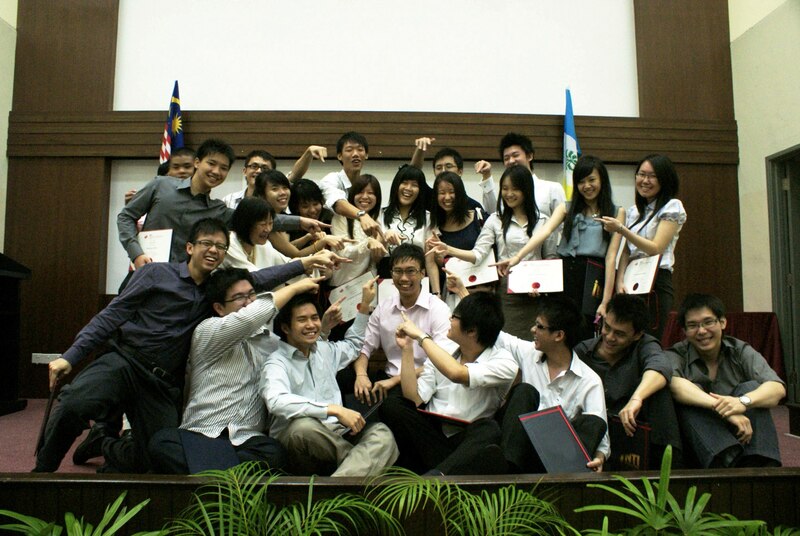 A 98 per cent passing rate in the May 2011 Cambridge A Level exam attests to the quality of INTI International College Penang (IICP)’s students and their high level of preparedness for a popular international public examination. Khoo Teng Jian is the centre of attention in this gathering of IICP’s Cambridge A Level top achievers. 30 students who have scored between two to five A’s or A*’s in the exam received special recognition at an awards ceremony at IICP. Leading the pack were Chan Jer Wei, Choon Xin Yi and Khoo Teng Jian, who scored 5 A*’s each. Khoo had gained recognition early this year as “Top in Malaysia for AS (Advanced Subsidiary) Mathematics” and “Second Place in Malaysia for Best of 4 AS Subjects” in the Outstanding Cambridge Learner Awards Ceremony. “The Cambridge A Level programme at IICP has grown from strength to strength since it was launched in October 2009 and I am thrilled by the success of our students who have demonstrated determination and diligence throughout their studies to achieve success at an exam known for its level of difficulty,” said Dr Michael Yap, Chief Executive of IICP, who presented achievement certificates to the 30 high achievers. Dr Yap also presented RM10,000 in donations to Persatuan Pencegah Mangsa Dera Pulau Pinang, represented by its president, Benz Kan. The money was raised from ticket sales for a musical drama held in conjunction with George Town Festival 2011 by IICP students and staff. The Cambridge A Level is a ‘gold standard’ qualification that opens the doors to higher studies in Medicine, Pharmacy, Dentistry, Engineering and Law at prestigious universities around the world. It has enabled INTI students to gain entry into top universities including Oxford, Cambridge, London School of Economics, Harvard, Yale, Cornell, Stanford, and the National University of Singapore among others. Good grades in carefully chosen A Level subjects can allow up to one full year of advance standing or credit at universities in the USA and Canada. Students of INTI benefit not only from the 25 years of experience and strong track-record that INTI offers, but also gain from the global synergy and resources that Laureate International Universities provides. INTI is part of Laureate, the world’s largest private education network with a presence in 28 countries, with more than 60 accredited campus-based and online universities and 130 campuses, serving over 650,000 students globally. For further information on IICP’s Cambridge A Level programme, please call 04-631 0138.